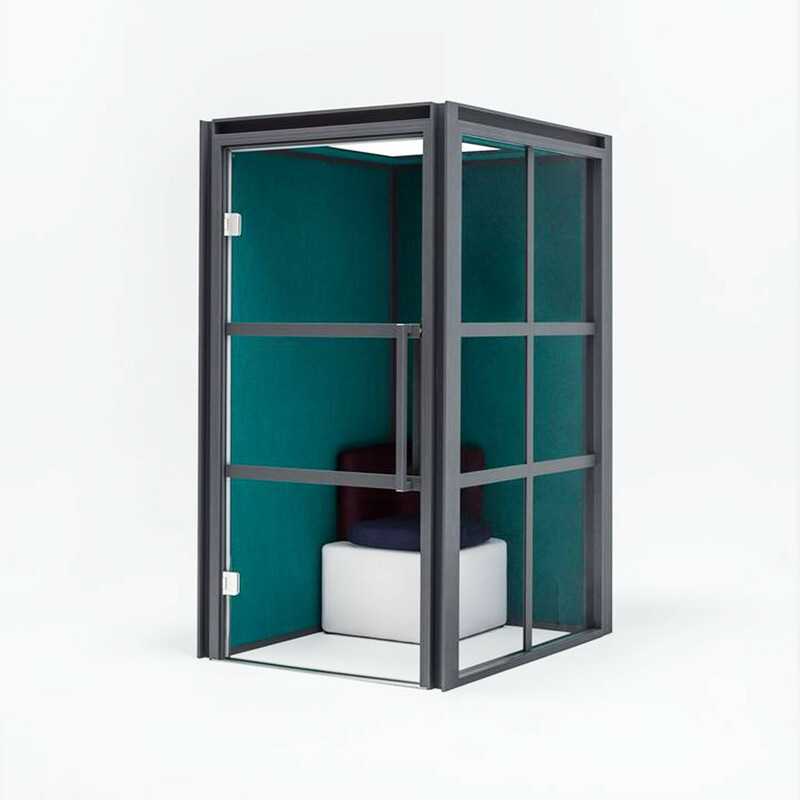 Inspired by industrial architecture and warehouses – the Hako soundproof pods improve the acoustic quality of contemporary office spaces. Its name means a box in Japanese. Referring to traditional Japanese grid systems, it highlights the modular look of its structure. 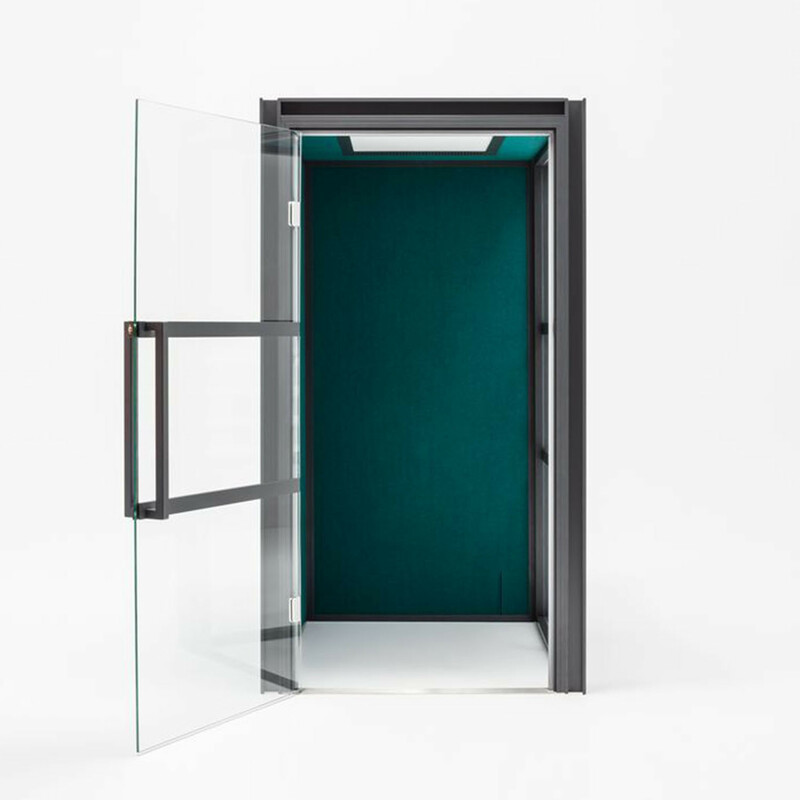 The variety of components allows us to create multifunctional architectural pieces: from private pod to meeting room accommodating several people. 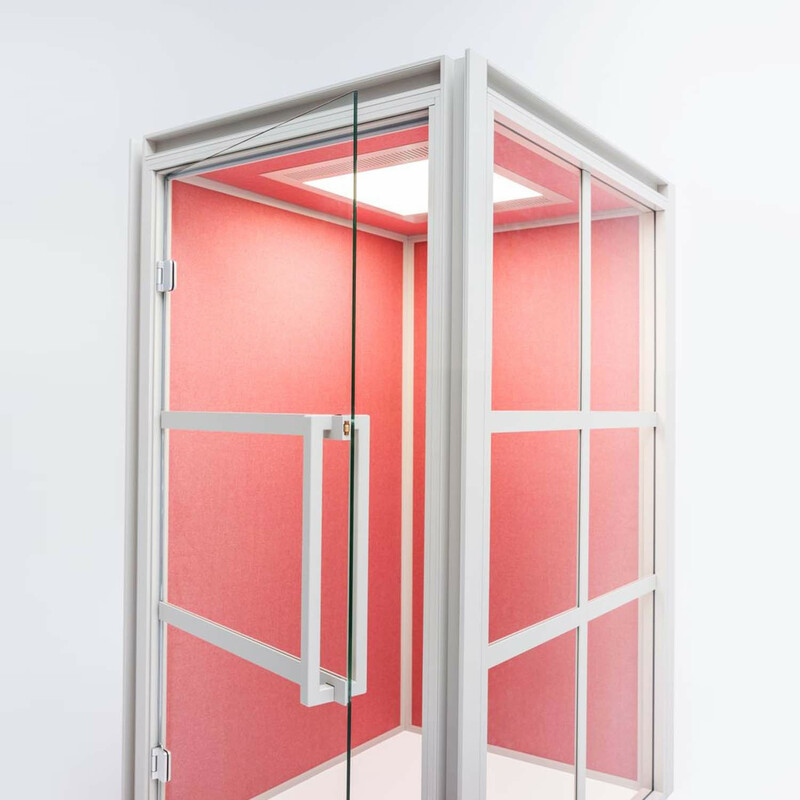 As the bottom part of the booth is eliminated, it features mobility, meets the needs of disabled people, wheelchair accessible, automatic lighting, efficient ventilation system, easy cable management and facilities cable management and all that without compromising stability. You are requesting a price for the "Hako Acoustic Phone Booth"
To create a new project and add "Hako Acoustic Phone Booth" to it please click the button below. 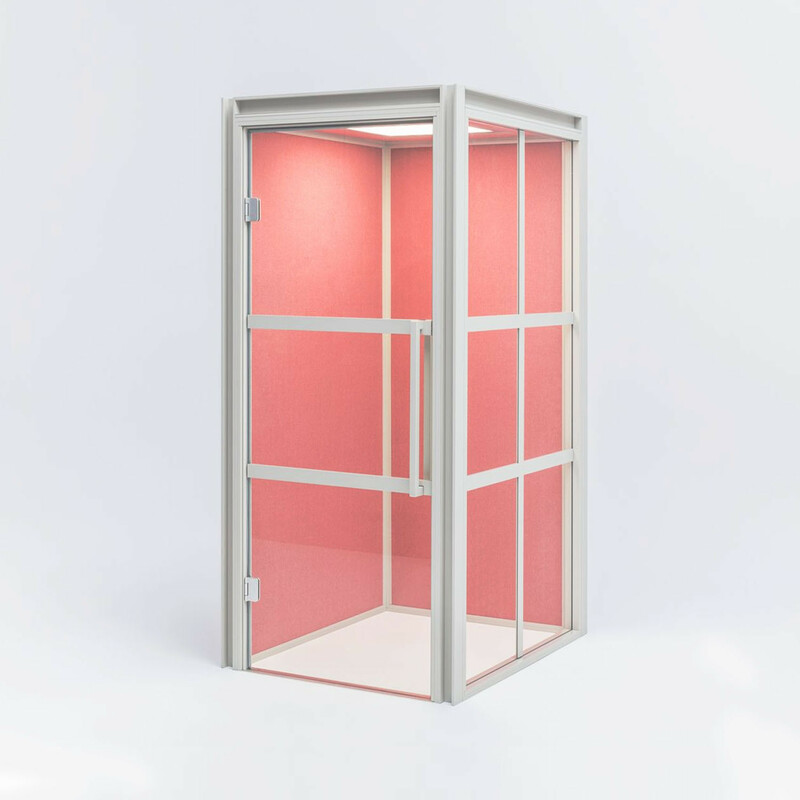 To add "Hako Acoustic Phone Booth" to an existing project please select below.